In the Old Testament alone we have the writings of at least sixteen prophets. What kind of people were they: eccentric doomsayers or faithful truth tellers? And why were their messages so crucial that God appointed them specifically to speak? More importantly, do they have anything to say to God's people today? From Elijah to John the Baptist, this study guide will help you listen anew to God's truth as you look at the lives of thirteen prophets and the major themes of their messages. 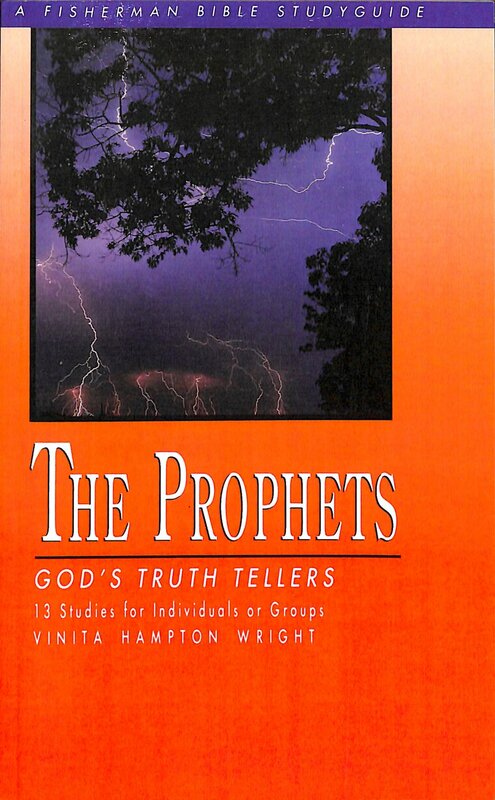 The Prophets: God's Truth Tellers by Vinita Hampton Wright was published by Waterbrook Multnomah in March 2000 and is our 34875th best seller. The ISBN for The Prophets: God's Truth Tellers is 9780877886655. Be the first to review The Prophets: God's Truth Tellers! Got a question? No problem! Just click here to ask us about The Prophets: God's Truth Tellers. How is The Prophets: God's Truth Tellers divided and can I see the chapter listing?